How did you get into the dispute resolution field? I’m currently a full-time professor holding the chair in international dispute settlement at Leiden University’s Law School. I also practice as of counsel with Lexlitis Law Firm (Ghent, Belgium). I would describe myself primarily as an advisor, but since I act as arbitrator as well as counsel, I would also consider myself to be a user. I have been involved in dispute resolutions for many years. I have always combined academic research with private practice – I was a Member of the Brussels Bar during my PhD studies, and was immediately involved in transnational dispute resolution focusing on litigation and arbitration. Over the years, and since my appointment at Leiden University in 2007, I have gradually moved from commercial dispute resolution to international dispute settlement in public international law, not only as an academic, but also as a practitioner. I specialise in all aspects of international dispute settlement, but have particular interest and experience in investment treaty arbitration and inter-State litigation. Do you think law schools are driving a change in culture of international dispute resolution? Law schools have a double task. First and foremost, students should be educated in the main principles and functioning of international dispute settlement, and the various mechanisms – judicial settlement, arbitration, and diplomatic methods- that parties use. At the same time, as an academic institution, knowledge transfer is not the sole objective. We also have a role to play in conducting research in possible future developments in the field. In doing so, it is important that academics specialising in the field share their findings and opinions on changes in the culture of dispute settlement. There is undoubtedly a societal dimension in what we do. At the same time, in the end, it is in essence the practice which will have to implement these changes, and the implementation in practice is not something over which academics have much control. How do you think law schools could better prepare the next generation for international practice? I am (and have been) teaching various courses on international dispute settlement at various levels of our educational programmes. 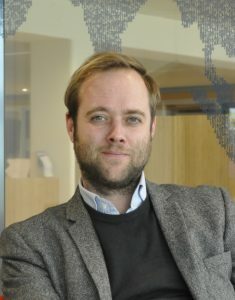 Currently, I’m in the process of developing a new Advanced LLM programme in international dispute settlement and arbitration, which will primarily focus on public international law methods, but will also include the principles and practice of international commercial dispute resoltuion. We also decided to include mediation and negotiation – two processes which I think will only gain importance in the coming years. Law Schools always need to keep track of evolution in dispute settlement – evolution both in theory and practice, especially at the Masters level or in professional training courses. Attention should be paid not only to current principles and practice, but also to what the field will expect these to be in the future. What type of lawyer do we seek to train or educate? Therefore we need to engage with the developments we see and forecast. Our graduates will be a new generation of lawyers specialising in dispute settlement, with knowledge of dispute settlement across different key disciplines and training in consensual forms of dispute resolution. Is the current market addressing parties’ needs? Based in my personal experience, I think the market definitely is addressing the parties’ needs. Parties usually have a variety of options at their disposal on the international market. In fact, it is fair to say that there are many providers who offer both arbitration and mediation facilities and that because of the wide range of providers, and the diversification in methods offered, there is an increased competition in dispute resolution providers. On an international level, do you think litigation will become obsolete in the coming years? From an international law perspective, it is unlikely that litigation will become obsolete. In fact, the rise in recent interstate arbitrations over the past decade occurred with a parallel increase in the caseload of the International Court of Justice (ICJ). Similarly, the International Tribunal for the Law of the Sea (ITLOS) has also heard several very important cases over the past years. In general, certain states still prefer to submit their disputes to an international court, and in particular the ICJ. This may be for instance, because of the reputation of the Court, it’s long standing case-law, the visibility and publicity attached to ICJ proceedings, or simply because the ICJ has jurisdiction based on an acceptance under Article 36(2) of the ICJ Statute or a regional agreement containing consent to the Court’s jurisdiction. As far as ITLOS is concerned, it is competent under the Law of the Sea Convention to hear cases regarding provisional measures pending the constitution of an arbitral tribunal, and also, under certain conditions, for the prompt release of vessels. Because of the ‘exclusive’ jurisdiction of the ITLOS, these two types of cases will thus continue to be settled by the Court rather than by arbitration. Overall, international arbitration – both commercial arbitration, and investment treaty arbitration – will likely continue to rise in the years to come. This is also the case for other forms of dispute settlement in international law. States are increasingly resorting to arbitration to settlement their disputes or to the ICJ and the ITLOS. And I’m not even mentioning the very successful dispute settlement system of the World Trade Organization. I do think that mediation and conciliation will also increase in the coming years. Because of the time and cost involved in dispute resolution, I see a trend towards an increased use of these methods, at least as a first step towards settling a dispute and often followed by recourse to arbitration. Eric De Brabandere is also Editor-in-Chief of the Leiden Journal of International Law, Visiting Professor of international investment law at the University of Trento in Italy, and a member of the Board of Editors of the Journal of World Investment & Trade, the Revue belge de droit international (Belgian Review of International Law), and the Martinus Nijhoff Investment Law Book Series. He is the author of several books on international arbitration and investment law. Together with the Permanent Court of Arbitration, he created a summer International Arbitration Training Course for practitioners interested in specialising in arbitration.